From the Smooth treadmills line - the Pulse 260 treadmill, just another shining example of what a treadmill should offer for its price tag. 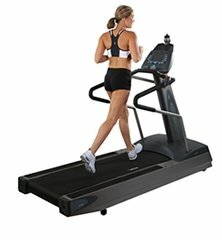 UPDATE: The Smooth Pulse 260 treadmill has been discontinued. Check out our top picks in the $3000-$4000 price range for a comparable model. 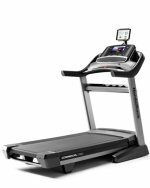 Smooth Fitness is constantly innovating their treadmill design, offering users the best in running and walking treadmill technology. The Pulse 260 was designed to give users the most natural feeling, run or walk, with a cushioned absorption system that really feels like you’re running on air. The 4.0 horsepower motor is one of the most powerful in the treadmill market, allowing top athletes the chance to really see what their bodies can do, but also allowing plenty of growth for the beginner to exercise. The Pulse 260’s treadbelt is nice and roomy according to testers and the control panel is easy to read and to access. Users say that the hand grip pulse monitor works well with the Pulse 260 treadmill, allowing you to easily check your heart rate and adjust your exertion accordingly. But what experts find to be the most compelling feature of the Pulse 260 as well as other models from Smooth Fitness is the reversible running deck and self lubricating belt. Together, these help to maintain the performance of the treadmill, with little effort needed from the owner. The lifetime warranty on parts, motor and frame is the best in the business – and the solid construction almost guarantees that you won’t need that warranty for a while. The $3500 price tag is a bit much for many exercisers as you can get enough horsepower and quality for half that amount. But when you’re ready to really invest in a treadmill that will last your entire life, the Pulse 260 is an extremely well-built machine. We can’t recommend it highly enough, even if it’s a bit much for the everyday user (overkill isn’t a bad way to describe it); the Pulse 260 treadmill from Smooth Fitness is certainly something to put on your exercise wish list.